Hot Summer Evening. 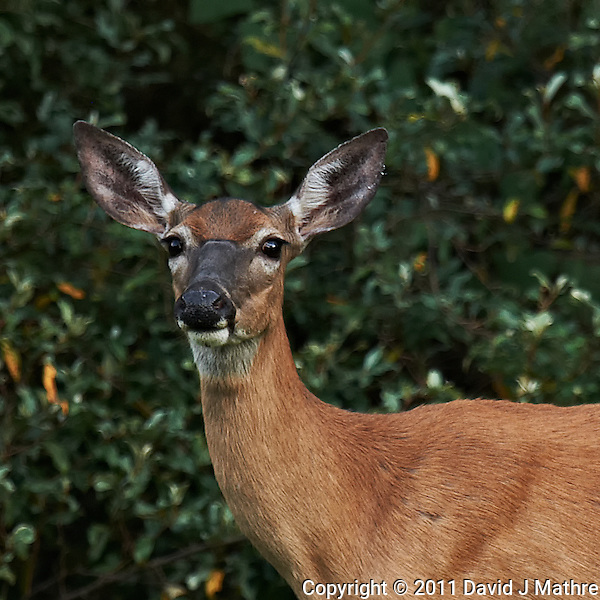 While out sitting on my deck, I took some images of a Doe. 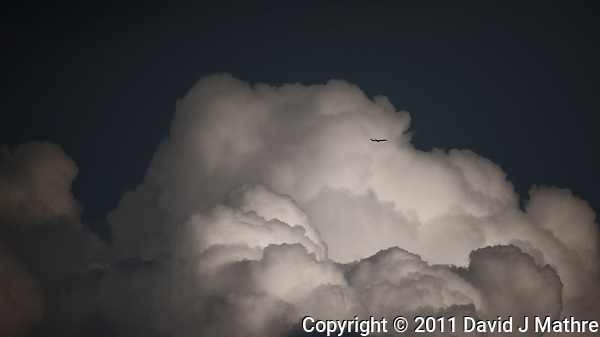 I also caught an image of a distant commercial jet passing in front of a rapidly growing storm cloud. 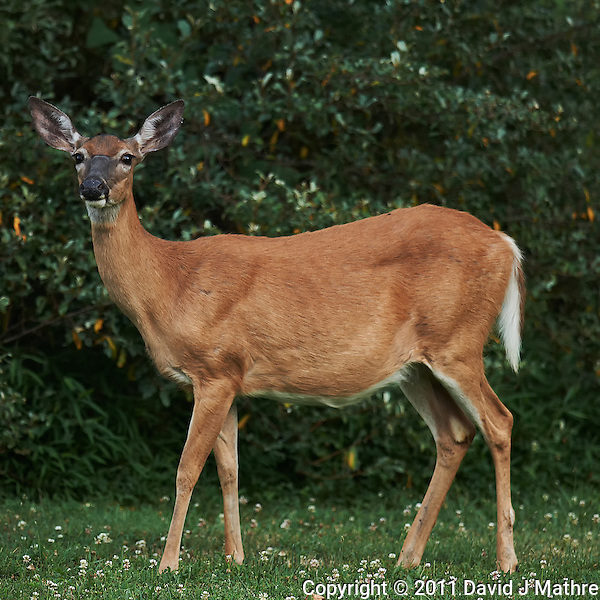 Doe. Outdoor Nature in New Jersey. Image taken with a Nikon D3x and 600 mm f/4 VR lens (ISO 400, 500 mm, f/4, 1/200 sec). Image processed with Capture One Pro 6, and Nik Define, and Photoshop CS5.